[W:Daruma] are red and round Japanese wish dolls with no arms or legs. The model of daruma doll is a Buddhist monk, Bodhidharma, who is the founder and first patriarch of Zen. 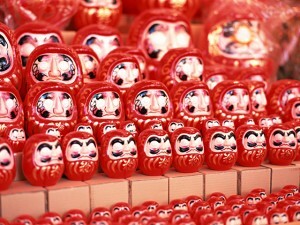 Thick eyebrows and mustaches are the characteristics of daruma doll. 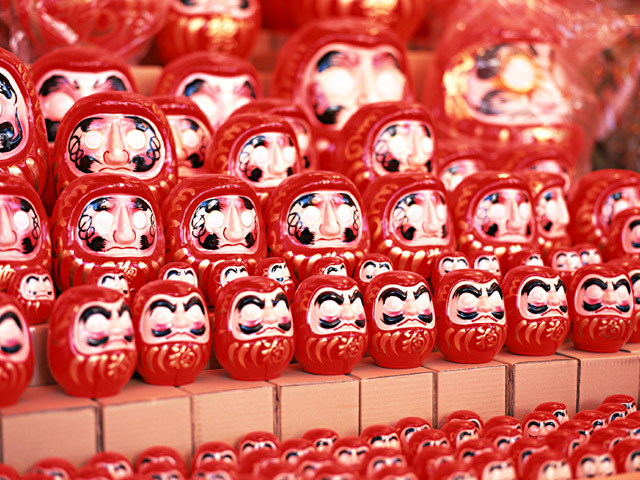 Daruma are sold without pupils; they have only whites of the eyes. In the traditional way, the holder paint right eye with black ink first, then the left eye is left blank so that the holder can fill it when he/she obtains his/her goal. 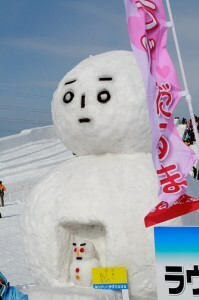 In Japan, snow men are called yuki-daruma (snow daruma) because they look like daruma dolls.